VideotelTM has expanded and enhanced its Ship Security Officer and Designated Security Duties Training Course in line with the latest STCW regulations. The Ship Security Officer Training Course is for personnel who are nominated as ship's Security Officers and the Designated Security Duties Training Course is for personnel on board with Designated Security Duties. Both training courses contain brand new resources and training material, and have been approved by the Maritime and Coastguard Agency (MCA). Nigel Cleave, CEO of VideotelTM, explains: "The ever increasing threat to maritime security is behind the decision to enhance our security training for Ship Security Officers and the important issue of Designated Security Duties. The courses meet legislative requirements but will also help seafarers feel more confident when dealing with a security threat." Both the Ship Security Officer Training Course and the Designated Security Duties Training Course meet the learning objectives set out by the International Maritime Organization (IMO) and also guidelines issued by the U.K. Merchant Navy Training Board. The Ship Security Officer Training Course requires the candidate to have a minimum of 12 months seagoing service before course completion, with an anticipated 15 Guided Learning Hours (GLHs) to complete the course. The course includes a randomized multiple choice test for completion at the end of each module, followed by a final test. There are also assignments where applicable for seafarers wanting to gain advanced certification. 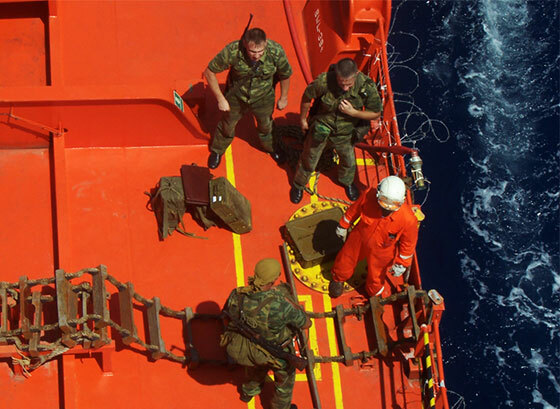 The course complies with STCW Reg. VI/5 paragraph 1 and Sections A-VI/5 paragraphs 1 to 4. The Designated Security Duties Training Course consists of five modules with a randomized multiple choice test for completion at the end of each module, followed by a final test. There are also assignments which must be completed in order to gain an advanced certification. With an anticipated 10 GLHs required to complete the course, this complies with STCW regulation VI/6 paragraph 4 and Section A-VI/6 paragraphs 6 to 8.